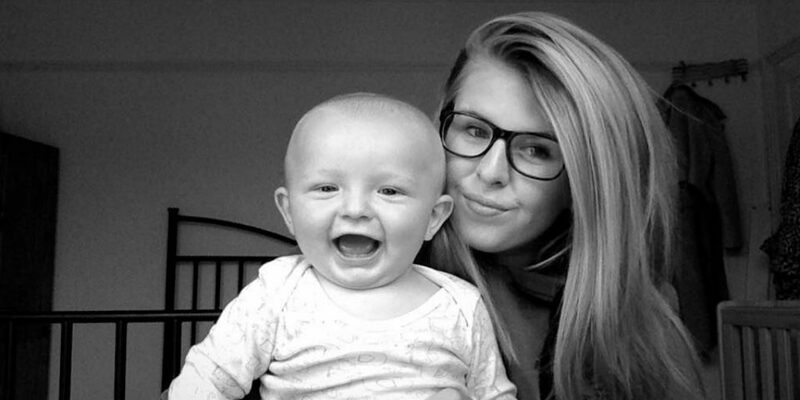 My name is Emily, I am 17-years-old and a mum to a little boy called Riley who is nearly 11 months old; I had him when I was 16. There were two separate occasions where I had overheard elder women speaking about myself whilst on the bus. One particular woman, who was sitting right opposite me, spoke to the person sitting next to her and said, ‘She is too young to have a child, imagine what that boy’s life is going to be like when he grows up, with a mother that age’. Once hearing this, I had to stop myself from crying, as I didn’t want her comments about myself to affect me. On another occasion, I also overheard a woman speak, ’Children these days barely growing up, she won’t be able to look after him’. These were only brief examples of what the two women said, as much more was mentioned. Once hearing these comments, I just felt really self-conscious as a mother. Yes, I indeed had my son at a young age, being 16, but in no way shape or form does this determine my ability to be a good mother just because of my age. Because in reality, I try my hardest. I do indeed struggle at times, but doesn’t every mum? It’s normal and its part of being a mother. Hearing those comments really knocked me down and I questioned my ability to be a mum. I found myself asking all sorts of questions; had I made the right decision for my son? Had I really ruined his life? And these are questions no mum should have to be asking herself. Not ever. And for this reason, I decided to start a blog, so that mums of a similar age feel as if they have some sort of comfort in a way, someone to turn to when they feel down for any reason. I plan for my blog to be based around all sorts of things, not just judgment. As well as this, just because I had my son young does not mean I ruined my life, not at all. In fact, he made it worth living. I just can’t do it as frequently as what most other teenagers do, and to me, that’s ok because there is not better feeling than being a mum and I myself, know that I have 100% proved those two elder women wrong because I do my best for my son, he’s a very happy child. I am proud of how far I have come, since becoming a mum I have had three teenage girls message me over social media asking for advice because they had found out they were expecting and wanted to know about motherhood, the cost of baby things and just being a mum in general and to me, that’s pretty amazing. The fact that people already see me as someone who they are able to turn to is amazing, and I couldn’t be more proud. So, although those comments brought me down massively, they also made me realise that I am in fact a brilliant mum to my son and to me, that’s what is most important.